You can redevelop a site with heritage value into something that satisfies both investors and those who seek to protect its heritage. “Adaptive reuse capacity.” In the land-development business, you won’t find a more emotionally charged phrase. On one side, there are those who argue we must protect the heritage and value of a site. Period. On the other, there are those who say you can adapt a site with heritage value for reuse and turn it into a profitable business model. Although the evidence overwhelmingly reveals that reuse projects can be extremely lucrative while protecting heritage value, there remains a prevailing negative stigma held by developers: it’s just not worth the effort. Generally speaking, there are four critical issues that, depending on how they are handled, will determine the success of an adaptive re-use project. Environment: This relates to both the site and its surrounding environment. Contaminated groundwater for instance is a serious barrier of entry and, when this is an issue, engineers often recommend against adaptive reuse. Location: Being close to public transit, hydro, roads and other public services can be a real advantage to reuse—or not, depending on its intended use. If the site is being adapted into a quiet residential setting, for example, being close to these services can actually work against the developer. 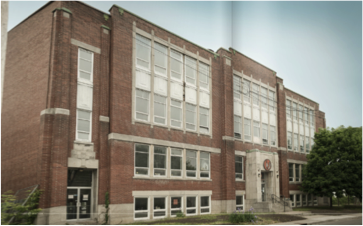 Legislation: Governmental institutions often impose a vast amount of influence on adaptive reuse projects at the municipal, provincial and occasionally federal levels, especially when it comes to rezoning. Finance: Financial factors are often dependent on how lucrative the project is expected to be. Governmental incentives often exist when a project is proposed, especially when its adapted reuse contributes to the surrounding community by, for example, reducing the number of vacant buildings or by offering environmental benefits. 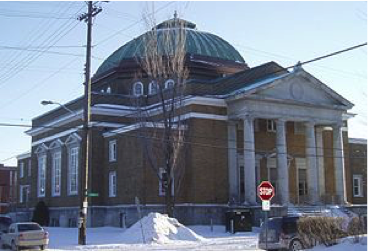 Currently, there are more than 450 properties in Ottawa with legal heritage status and, while that is not a prerequisite for being considered for adaptive reuse capacity, the two often go hand-in-hand. Here are a few examples. Originally constructed as a place of worship in 1914 and completed 10 years later, this structure—famous for its giant dome—avoided demolition through a program of adaptive reuse. As the congregation shrank over the years, it merged with another congregation, but that only postponed the inevitable. The City of Ottawa bought the building in 1973 and, at minimal cost, eventually decided to adapt the building as a community centre. The former Odawa Native Friendship Centre in Hintonburg—originally a school and then a community centre—has seen its fair share of community squabbling. When the developers bought the property in 2012 for $2.2 million, their goal was to build a 19-storey, 144-unit tower, however, community pushback resulted in the plans being revamped to include just nine lofts as “a historic building that will be interconnected with soaring light-filled spaces, epic sky-line views and rooftop getaways.” Priced around $800,000, six of the nine units have been sold. Still waiting on a rezoning (which is expected), this former church in Sandy Hill has stirred up much controversy. The developer wants to turn it into 60 bachelor units, but neighbours worry about an influx of students. Also, a neighboring religious organization has asked that it be kept as a place of worship. However, no religion-based organizations have stepped forward to purchase the property. There is no requirement to do so, but the developer has decided to maintain the steeple as the predominant feature of the property. This clearly speaks to the intrinsic value in maintaining its heritage features. All of the projects discussed in this post are either successful redevelopments or are in the process of being approved. A heritage-designated site that was built in 1869 on one of Ottawa’s oldest streets, this project was rejected for reuse by the City of Ottawa. With it’s white stucco exterior, it can best be described as a showcase of upgrades that were done over several decades. It has a mansard roof and dormers from the 19th century, a two-storey tower from the early 1900s and a Victorian-styled porch from the 1930’s. The developer believed that because the building scored just 35/100 when it received its designation in 1994, major changes should be accepted. The argument in favour of the project was that the building faces potential demolition if not maintained properly. This reasoning was dismissed however, and he was encouraged to create a more modest proposal moving forward. The most historically significant property discussed in this blog is the Deifenbunker, a property that was known as CFS Carp when it was built in 1961. 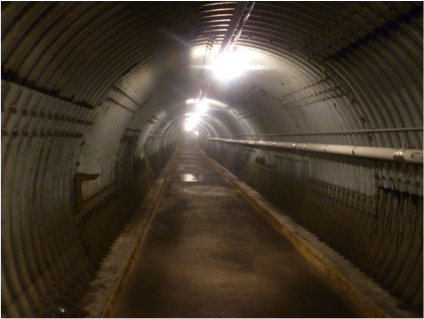 Its purpose was to house 525 men and women—including Prime Minister John Diefenbaker—in the event of nuclear war. When the threat of war passed, so, too, did the need for a bunker. In 1998 it was adapted to the cold-war museum it is today. 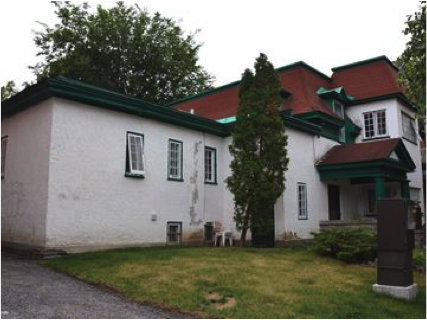 It has secured additional funding as recently as August 2015 to ensure this historical property is conserved. East Ottawa Landlord Reaps the Benefits of Full Service Property Management July 17, 2018 Commercial real estate is an investment that requires active property management and expertise in multiple fields including: accounting, day-to-day operations, leasing, construction and project management, in order to maximize returns. 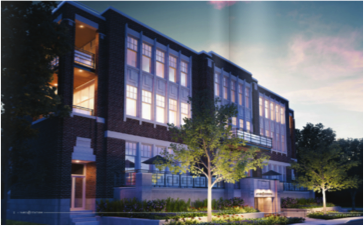 Considering Leasing Office Space? Read this. March 6, 2018 There's so much to consider when you're looking at leasing office space. To help, we've put together the list of 10 things you should factor in to your decision. ©2016 Inside Edge Properties Ltd.